I'm a 58 year old female who has this awful Coxsackie virus and is now 4 weeks out of work and don't think I'll be going back soon. The sores in my mouth and itchy bumps on hands and feet only lasted a week. First day I had chills but I never had a fever. What is killing me is this awful joint pain especially shoulders. I couldn't lift my arms without wanting to scream for the first 2 weeks. I am better but still bad. Elbows feel like I have tendinitis, wrists swell up, fingers ache, neck stiff, knees hurt, yuck! My 12 year old daughter was diagnosed with fifth disease (Coxsackie) when she was 4. She has had repeated bouts with undiagnosed fatigue for the past 8 years. During blood work for PANS (autoimmune encephalitis), it was found that she had an old Coxsackie A infection, which we knew. It also showed that she had a current Coxsackie A infection with the exact same positive serotypes. So, this article is not accurate. You can be re-infected with the same serotypes of Coxsackie. She was put on Valtrex, an anti-viral medicine and we retest her blood in 30 days. Her pediatrician who diagnosed her at 4 never mentioned the possibility of brain inflammation or that it's a serious virus. She has lived with unexplained fatigue, neurologic and psychiatric issues for the past 8 years due to the inflammation. It started with fatigue and body aches. Next came a sore on the right side of my tongue. The next day there were sores on the back of my throat, and the next day blisters on my palate. I had the worst sore throat I have ever had in my life, and the taste in my mouth was horrid! I'm a breast cancer survivor and even the worst round of chemotherapy was nothing compared to this Coxsackie virus. I'm on day 6 and have been to the doctor twice. They finally figured it out today. I am still fatigued, would rather spit my saliva out than endure the pain of swallowing, have a headache, and chills. Sure hope I have immunity to this once I'm better because if I get this again, I may do myself in. It's that bad. My dad got type B Coxsackie virus when he was in his early thirties. The difference is that it appeared as a stomach virus and for two whole weeks the only thing the doctor would do was give him medication for vomiting and send him home till one day my grandmother made the doctor do blood work and an x-ray that showed the virus had attacked his heart and enlarged it. He got sent to the hospital and the first 24 hours they did a ton of tests, etc. But they knew that he was not going to get better if they didn't do something fast. So they gave him a medication that is dangerous to administer so they gave it to him slowly, it took 6 plus hours to fully get it done. It worked and he lived but had to live with an enlarged heart. Also the doctors didn't think he was going to make it. I don't see this as rare, many people have died from it. I got lucky my dad didn't but it was close. He had type B. My great aunt got type A from her grandson and it was hand, foot, and mouth type. Only thing is it also didn't clear up like it is suggested here. She got meningitis and that also about killed her also. She was in her late 50s early 60s when it happened to her and has caused lots of complications and her immune system for a very long time was real bad. She also got lucky and survived it. So honestly you can't say that there is rarely any complications afterwards because there is. My dad now has a heart transplant just ten years after he got the virus. This virus is very deadly. I had the Coxsackie virus several years ago, without realizing how serious it was. I just knew I was sick. I only found out after about a year of persistent, intense itching. My skin would welt up if anything touched it, and how it itched! The allergist did tests and found that I had the Coxsackie B virus at some point. I am still on allergy medicine to control the itching. It is frustrating. I first got Coxsackie virus as hand, foot and mouth disease in my 40s. I get repeat outbreaks with the painful bumps on my fingers. My primary care physician doesn't seem to take it very seriously. With Coxsackie virus, on day 1 I had sore lip. Day 2 and 3, there was yellowish whitish canker sore on my lip and a tiny little blister on my tongue (like when you eat something acidic like pineapple). I thought nothing of it and kept going to work. Day 4 and 5, I got a sore throat and a few more painful sores in my mouth. It hurt to eat and drink. Day 6, I had fever 99 F to 100 F range, body aches, chills, and swollen gums/jaw area. On day 7 fever subsided, I had a mild headache, was still a little achy, tongue got multiple blisters and was more swollen. Day 8, I had mild chest pain, gums are so swollen, and it hurts to eat. Tongue blisters are starting to shrink. I had to take pain pills just about every night otherwise I would wake up because my mouth and lips hurt. I'm 54, and I got hand, foot, and mouth disease (HMFD) from Coxsackie virus, from my 5 year old (who got it while in the hospital, of all places, having his adenoids removed). It started with a mild sore throat, then the next day a low-grade fever. Day 3, the fever was gone, but my throat was on fire, felt like strep throat. Day 4, my throat was still painful, and I noticed some prickly little bumps on my fingers. After a trip to the Urgent Care to rule out strep throat, they told me I had probably picked up Coxsackie virus from my son, and that it would clear up on its own. Day 7 and all clear! My 9 month old daughter contracted Coxsackie's virus from daycare. After a week of sleepless nights I thought we were in the clear; until both my husband and I got it! It is awful. It started with high fevers, body, joint aches, and just feeling crummy. Then a sore throat that felt like I was swallowing shards of glass. Then came the rash. I am itching so badly from the rash/blisters on my hands and feet. So far nothing I've tried has helped. I continue to take Advil for pain and Benadryl for the itching. I cannot imagine what my baby had to go through. My husband seems to have gotten this Coxsackie virus from what the physician has told us yesterday. It started with high fevers in the 103.5s; he had fevers for 15 days. He was admitted in the hospital where they ran a lot of bloodwork and weren't able to find what was causing this; not until after discharge we are told he has tested positive for Coxsackie and there is no treatment. Four weeks in he has started to have a low grade fever 2 days ago (once a day), he is weak and has no energy. How long is this going to last! I am a 44 year old woman. Last Sunday my 5 year old daughter had very high fever 39.4 C. Finally she was diagnosed with strep throat and got antibiotic. Two days ago, on Tuesday night, my son, 5 year old, got a high fever, next day he didn't eat and cried that his throat is very sore. I also developed fever on Wednesday. So I ran with the kids to the clinic to have throat swab, believing that my son and I caught bacteria from my daughter and have strep throat. Against my expectations, our throat swabs were negative. Next day my throat was all in blisters. I couldn't swallow. I saw a few blisters on my son's throat. I was sure again that it's tonsillitis. Today we got small red blisters on our palms. Also I have blisters on my gums, tongue, anywhere inside mouth. It's so sore that I can't eat at all, only drink some water or milk. My son didn't eat for 3 days. Today he started to drink and eat more, some soft food. He has much less blisters than I. Now I've read disease description and patients' stories and understood that I got Coxsackie's virus from my son. I only hope to get better in few next days. My son has the Coxsackie virus, and it's the first time I have ever seen this. He has had a fever for six days, and has facial sores on his face. The worst part of it all is the sores in his gums, and mouth. It causes him pain. It also give him very bad breath. Sleeping at night has been very hard this whole week, because he is very restless, and has to sleep with us to ease his pain. There is nothing you can do, but wait it out, and keep hydrated. I have just recently experienced this virus for the first time with my children. My daughter who is 10 became ill first and she had a fever of 103.6. She had a severe sore throat that was associated with bad breath. She had a pimply rash on the face and weird looking bumps on the hands and feet that she described as itchy and painful. My son came down with the virus 5 days after she started it and I sanitized so much. This virus must be highly contagious. He had a fever of 102.5, headache and sore throat, also associated with bad breath. He got the rash on his bottom the most and very little on the hands, feet and mouth. I've heard this virus weakens from person to person. Maybe that's why my daughter had it so much worse. They both did not want to eat for 4 days. I am glad we are through it. I had Myocarditis in 1991 at the age of 34, and it was linked to the Coxsackie virus as the cause. The virus made me very ill and although I was said to be one of the lucky ones that the virus didn't leave my heart damaged, my quality of life has never recovered. After I was released from the hospital with the news that there was nothing that could be done to help me and my body would either fight the virus or it would get the best of me, it took several years to recover enough to resume shopping for my family and taking care of them. Even after all these years, I'm still not back to normal. I tire much quicker than other people, and am limited to how many days I can push myself to live full throttle. But I am happy to say that I was able to do a ridiculously fun zip-line through the jungle's tree tops near Chiang Mie, and to snorkel in Bali with my husband on a recent vacation to Asia. I have been living with the Coxsackie virus for about five years now and it has recently flamed up again. My main symptoms are tiredness and body aches and pains. A mild antidepressant helped me cope with everyday life and I live a full and active life. Recently, my doctor suggested Intragam injections to help my antibodies fight the virus and regenerate my low white blood cell count. I had one injection so far and feel amazing. I aspirated during an Endoscopic retrograde cholangiopancreatography (ERCP) in May and developed pericarditis. Since then, I've had a few episodes that have required hospitalizations. I have been on a prednisone taper since that time and end up with a relapse when my taper from prednisone is too rapid. 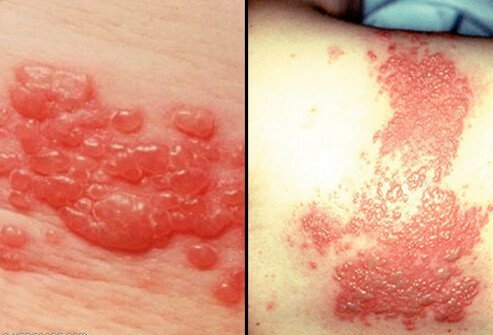 What symptoms did you experience with your coxsackievirus infection?